Health insurance: That term alone may be enough to give you a headache, considering all of its confusing language, acronyms, high costs, and pages upon pages of fine print. If you're feeling lost, you aren't alone — and I'm here to help. 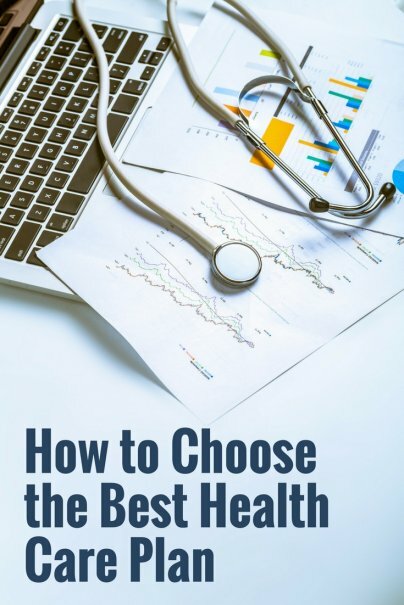 As someone who has purchased their own insurance from health care marketplaces in several states, and worked professionally for a health insurance company, I've learned quite a bit about buying health insurance. Here are the main points you need to know to choose the best insurance plan for you and your family. Health care costs are broken down into two main categories: fixed monthly costs and variable service costs. Your health care bill is a fixed monthly cost that you pay in order to keep your insurance in good standing. Your bill is often referred to as your "premium" or "monthly premium." It may change from year to year, but within a given calendar year, it's the same every month provided you don't have any life changes such as adding a new dependent to your plan. It's critically important that you pay this monthly charge every month when it's due. If you miss a payment or multiple payments, the insurance company could cancel your coverage or charge you a late fee. If you're having trouble paying your monthly premium, ask for help. Call your insurance company. There are often programs and payment options to help you manage your payments and keep your insurance active. These are costs that you will pay when you receive medical services such as doctor visits, prescriptions, visits to the emergency room or hospitalizations, and lab tests, just to name a few. The costs to you for these services depend upon your insurance and the provider of those services such as the doctor or pharmacy you use. When you pay these costs, they count against something called your deductible. Your deductible is the amount of money set by your insurance plan that you must pay before insurance contributes money to your medical costs. Your copay is the amount of money you must pay upfront to a service provider before you can receive care, medication, or tests. Variable costs: $25 copay for a visit to your doctor (often called your primary care physician or PCP), $200 copay for a visit to the ER, $10 copay for prescriptions. Deductible: $1,000 in-network, $2,000 out-of-network. In-network means that a provider is approved by the insurance company. As a general rule, you should check to see if all of your providers are in-network with your insurance company, because in-network providers will be cheaper for you than out-of-network providers. Every month, you must pay the $100 premium, whether or not you receive any medical care that month. Now let's say you get a bad cold. You go to the doctor and they write you a prescription for some medicine to help you manage the congestion in your nose and chest. They're also a little concerned that this is more than just a cold, so they recommend a few tests from an in-network lab. Since you are feeling very sick, you agree to the lab tests. You pay the $25 copay to the doctor for the visit, and the $10 copay at your pharmacy for the prescription. Total variable costs so far are $35. The lab tests come back and it turns out you have an infection and need a second prescription. You pay another $10 copay to your pharmacist for the second medication, and the lab that ran the tests sends you a bill for $50. Total variable costs are now a total of $95. Now what about the deductible? Copays usually do not count toward your deductible, but billed costs do. Let's say this is the first time you're seeing a doctor this year. You can count your $50 lab cost against your $1,000 in-network deductible because the lab that ran the tests is in-network. Because you haven't yet hit the $1,000 in-network deductible of medical expenses, you must pay the lab the $50 for your lab tests. Your insurance doesn't cover any of that cost so long as your total billed in-network provider costs for the year (not counting copays) are below $1,000. Insurance does not cover any of your copays — you are responsible for those costs as well. Health care is a complicated industry. There is one main question you need to answer to choose the right plan for you on the exchange: Would you rather pay a higher fixed monthly premium and pay lower costs for a serious illness or injury, or would you rather have a lower monthly premium and pay higher costs for a serious illness or injury? Once you answer that question, you significantly narrow down your choices and the decision becomes much simpler. If you need some help answering the question above, here is a way to break it down into two smaller questions. You have to be able to sleep at night. If you are worried about a high monthly premium and not too worried about your potential for getting sick or having some kind of accident, then you could choose a higher-deductible plan with a lower monthly fee and higher service fees. If you would rather have the peace of mind of a lower-deductible plan with higher monthly fees and lower service fees, then a high monthly premium plan may be better for you. That is a very personal choice and there are no right or wrong answers. 2. How much financial flexibility do you have if you get sick or injured? Another point to consider is your financial flexibility. In the event that you become sick or have an accident, do you have a substantial enough savings to cover high medical costs? If so, then you may be just fine with a plan that is cheaper on a monthly basis and has higher fees and a higher deductible. If you don't have significant savings for services, but you do have money to cover a higher monthly premium, then a more expensive plan upfront may be better for you. For now, the Affordable Care Act (commonly called the ACA or "Obamacare") is the law of the land. When it was passed in 2010, it included a required set of services that all health insurance plans on the marketplace (also called "the exchange") must include. That means that all of these services must be offered by all plans that wish to be a part of the marketplace. It does not mean that these services are free of charge. It just means that they have to be offered as part of the bundle of services, and there can be costs to you associated with them. Ambulatory patient services. This includes any service outside of a hospital such as visits to a doctor's office, a clinic, or urgent care center. Chronic disease treatment. Chronic conditions are illnesses that must be consistently treated to prevent or slow their progression, but may never be fully cured. These include conditions such as diabetes and high blood pressure. Laboratory services. Lab services include all tests that help doctors diagnose your illness or condition. Blood work is an example of a lab service. Mental health services and addiction treatment. This includes services in which you go for an office visit to a therapist as well as services that require you to check in to a facility for multiple days of treatment (known as inpatient services). Rehabilitative services and devices. This includes services that help you to recover from a mental or physical illness, injury, disability, or chronic condition. It may be inpatient or outpatient depending upon the recommendation by your physician. Pediatric services. This includes checkups, vaccines and immunizations, dental care, and vision care. Preventive and wellness services. This includes physicals, immunizations, and screenings such as mammograms and colonoscopies that are meant to prevent and/or detect certain medical conditions that would need treatment. For women, this also includes annual visits to a gynecologist. Many times these services are included in the insurance plan with no extra fee other than a copay provided you go to a service provider who is in-network. Remember, no matter which plan you choose on the exchange, it must include some provision for these services though the costs to you for providing them may vary significantly from plan to plan. There are several factors that determine your monthly charge from the insurance company. Your home address. Where you live makes a difference in cost, for now, so you must go to the marketplace that is associated with the state in which you live. HealthCare.gov will tell you which exchange is yours based on the ZIP code you enter. You will then be able to see the plans available to you. How many dependents you want to cover, if any. Whether or not you smoke. Some states have an extra charge if you are a smoker. The insurance company you choose. Exchanges can have more than one insurance company in the marketplace. The health care exchanges do an excellent job of giving you side-by-side, apples-to-apples comparisons between different plans. If it's too much for you to figure out online, call your state exchange directly. They have excellent customer service representatives who are very knowledgeable and will help you through the online application. Be well.